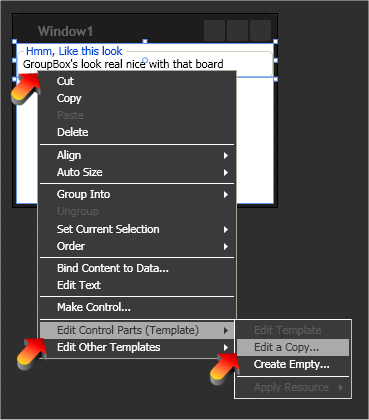 This may be long, but at the end of the post, you should be able to change the look of any WPF control. I have a Win32/WFC application that I’m porting to .Net/WPF. It is a simulator, so has lots of values to set/tweak. 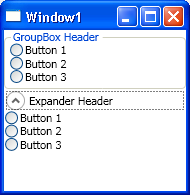 The current application has lots of GroupBox clustering options together, yet most are only needed some of the time (like before starting), and some options should only be used if other options are not. With this in mind, I wanted to be able to expand/collapse groups. My first attempt was to add a button to the header of a GroupBox, and in the code behind alter the Visibility=”Collapsed”, but that felt clunky. I then found the Expander control, which does exactly what I want, yet as a UI control I find it ugly. I guess it is good for building Outlook tool panels. This is where the power of WPF shines. 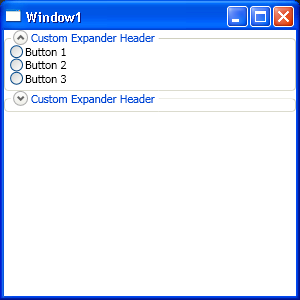 I can take the expander and give it a new skin and make it look like a group box, but keep the boarder visible while the content is collapsed. The first place I looked was is MSDN, and tried the Expander ControlTemplate example, but the theme was completely different from the normal theme, and that was what I was wanting to capture. Once I had the correct Xaml, I realised that the internally referenced static resources were not named correctly, therefore you could not tell what was used where. That was a deal breaker. So I then turned to what I thought would be the trickiest option installing and using Expression Blend 2. First wrong assumption was, that it was now released and thus I’d need a license. It’s still in development, so is still free. It was also small (compared to Visual Studio installers) at 25MB. 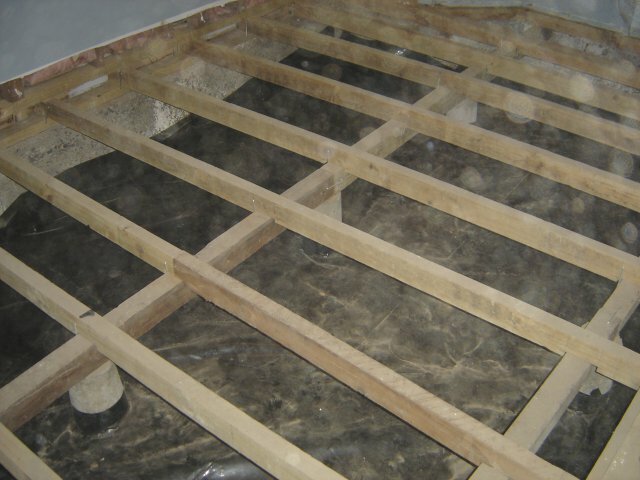 Well the under floor part of the great house DIY of ’07 is done. I keep getting Google Alerts for one of the posts from my old blog at simeonpilgrim.spaces.live.com. The strange thing is that I have turned off access to these pages to the public, only trusted people may view them, yet, nobody is in my trusted list. So why is Google still finding the page, and telling me about it? If it’s private? So I then went on a rampage deleting the blog posts from my spaces.live.com, and when the last two were showing, I noticed one was a post I missed moving to this blog. In fact I had missed both. So there are two new posts back dated to October 2005. 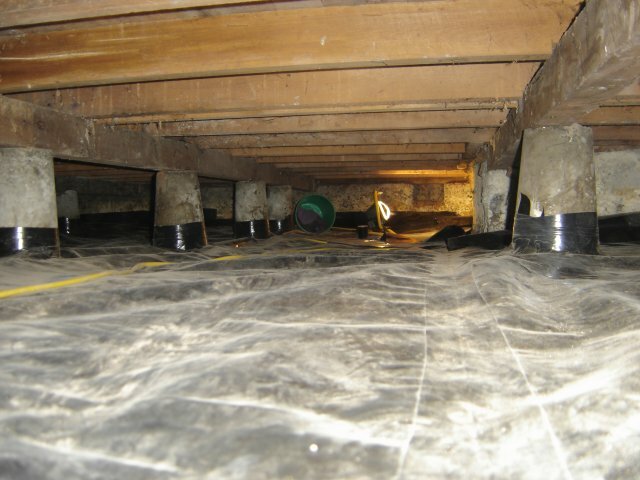 I wonder how many other posts I missed…. It’s quite odd reading old posts, as much has changed since 2005, and in other fronts little has changed. I hope you have all had a merry Christmas, and enjoy the New Year! 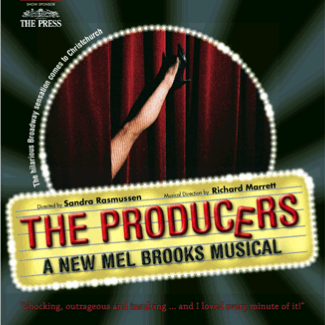 We went to The Producers at The Court Theatre on Saturday night (as a Christmas present from my mother). It was a fantastic play, lots of humor and well rounded but over the top plot. As always the stage was a fantastic Rubik’s Rings of folding parts. The play is running till the 16th of February, so if you get the chance, I highly recommend it. What are the chances of winning, and when should you stop. Now that the mint tick game is back, I thought I’d have a play at lunch time. The two auctions I was playing on had a high score of 16 and 17. So to get 16 ticks is a 1 in ~2000 event, and 17 is a 1 in ~4500. Which is in-line with the expected chances from above. So if you are hoping for a lucky brake, good luck….